These PRINTABLE (DIY) thank you party tags are perfect for your upcoming Girly baby shower! The party materials can be printed at home or your local print shop. Print, cut and party! It's as easy as that! 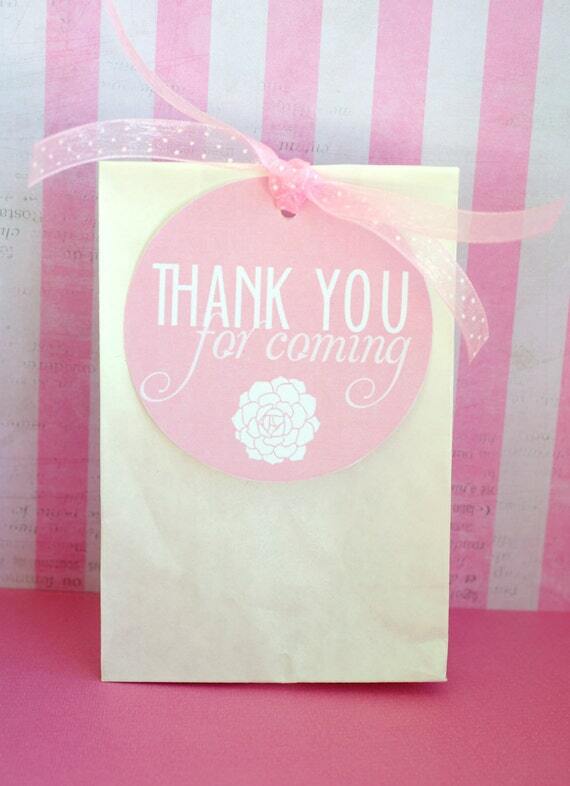 This listing is for 6, PRINTABLE 'thank you for coming' party tags. unless you would like to RUSH your order.